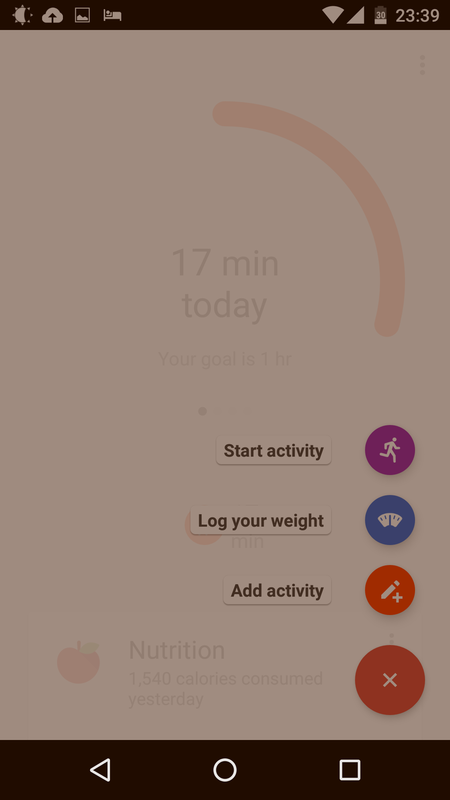 Home » Tech » Google Fit Does Something – Finally! 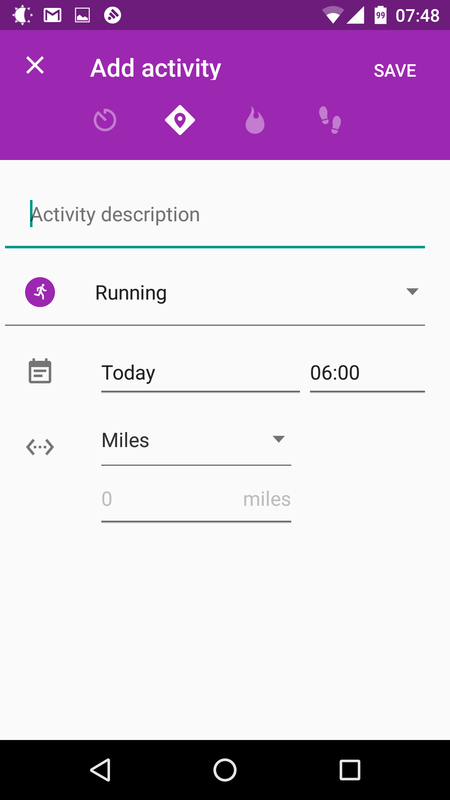 Google Fit Does Something – Finally! I’ve had Google Fit on my phone for a long time, but it never really did anything. It would do a fairly decent job of tracking my steps, but all my workouts (which are usually strength training) went unreported. Sure, I’d remember to log my 3x week/hour-long workout sometimes, but it would usually last for about a week or so before I would forget. 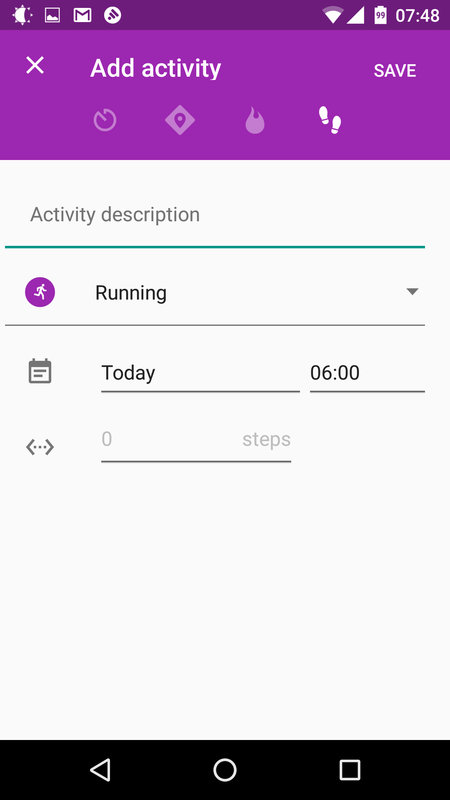 But now – now it looks like Google has a fitness app that can actually aggregate, display, and even record useful data beyond steps! No longer will I need a separate app to track runs – the new Fit has a FAB (Floating Action Button, the red button in the bottom right) that will start a GPS track of a run or a walk. In addition, you can set it up to keep track of time if you’re doing an activity that doesn’t really benefit from GPS (weight lifting, Yoga, etc.). 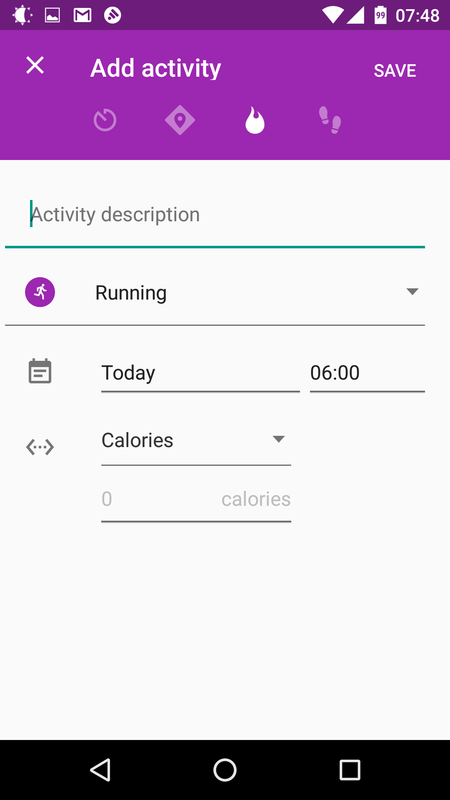 You can also still add in activities that you’ve done in the past (or didn’t remember to record) if you like to keep accurate exercise logs. You can add these old exercises by time, distance traveled, calories burned, or even steps – lots of options for a habitual record keeper! 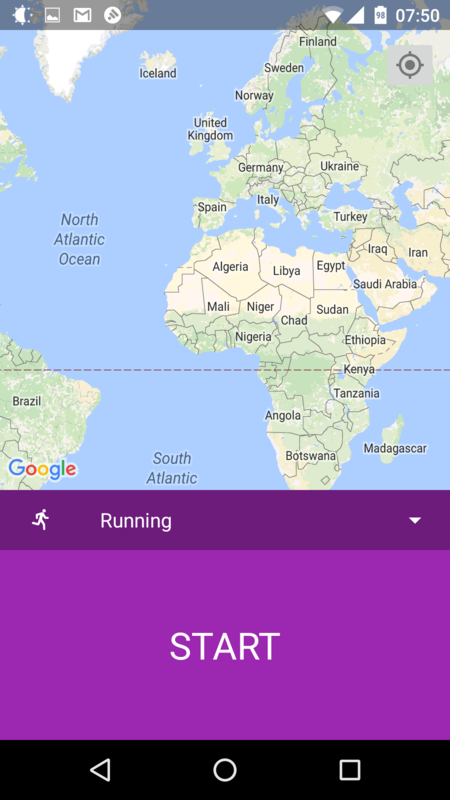 Track an activity with GPS or just a timer! …or finally, just by the number of steps you did! The new Activity Mode will also modify the lock screen, keeping a map and relevant activity information on your screen, easily accessible without the need to unlock the phone to see where you are or where you’re headed. Additionally, you can set the app to talk to you at configurable increments – every 1/2 or full mile, or at a certain time interval. This is obviously helpful for runners to keep track of their distance, but it’s also pretty useful for regular strength training, where you don’t want to sit around too long between each set! For awhile now, several nutrition and sleep-tracking apps have featured options to send that data to Google Fit, but until recently, there wasn’t an easy way to view this information on your phone. This new version of Fit changes all that! While you can’t use Fit as a nutrition tracker, if you are using a compatible nutrition app (Lifesum or MyFitnessPal are two I know of), then you can get a readout of your days caloric intake, as well as a macro-nutrient breakdown of what you ate. There doesn’t appear to be a way to look back further into your food history, but this amount of integration is a nice start. Finally – incorporating sleep and nutrition information! 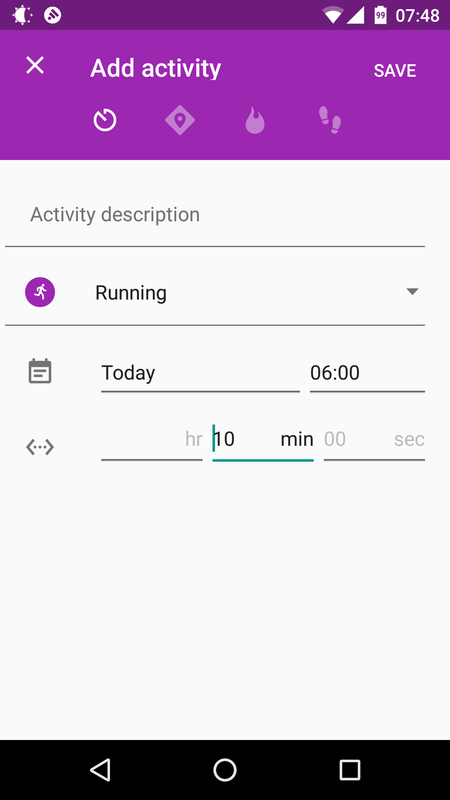 Sleep is also tracked as an activity, if you use a compatible app to track it (I use Sleep for Android), and it shows up for every day in the past that you have data for. I look forward to the food tracking information having such a history available. While this is a pretty awesome and feature-rich update, that’s – at least in part – because Google Fit didn’t really do much before. It would track your steps, sure, and it would work nicely with an Android Wear watch (I assume), but that’s about it. Now, it’s become a very good way to view various aspects of your fitness at once, and it’s almost an all-in-one fitness app. Native calorie and sleep tracking would be nice, but the Fit team did some good stuff here (finally)! 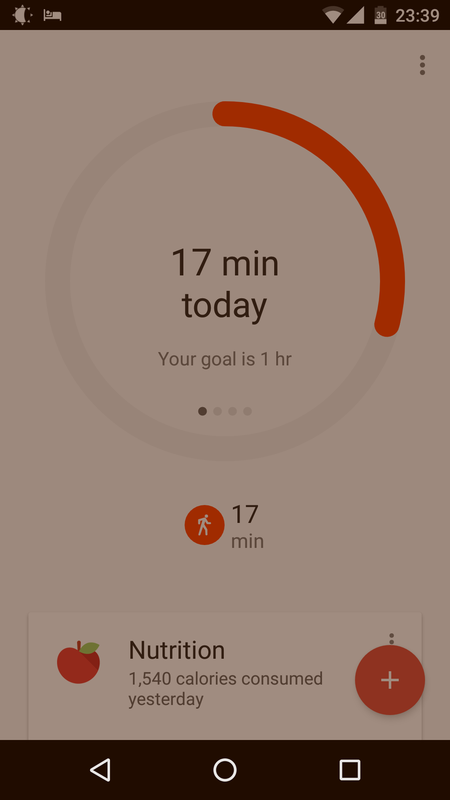 If you’ve got an Android phone, get the new Google Fit app from the Play Store!